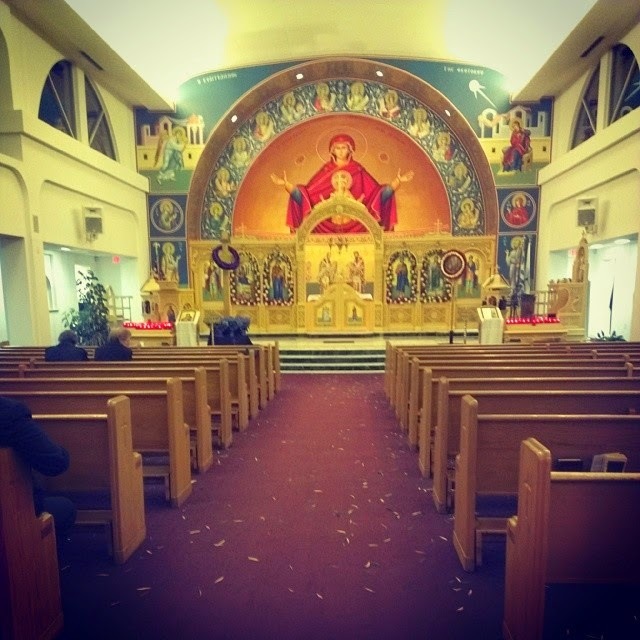 We showed up obscenely early, even before the priest, so I sneakily took a pic. 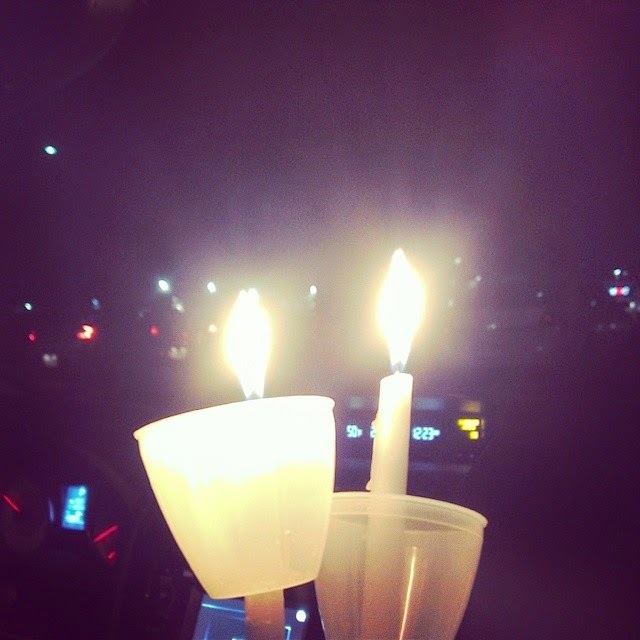 Driving home from the Vigil with our candles. In the last thirteen years Orthodox Easter has been on the same day a whopping seven times! It'll be the same in 2017 but then not until sometime after 2024. And, just so you know, I have the greatest husband for reason number 7,903,481. Because even though it isn't his thing he goes to church with me for Greek Easter every year.